A linetype is a repeating pattern of dashes, dots, and blank spaces displayed in a line or a curve. 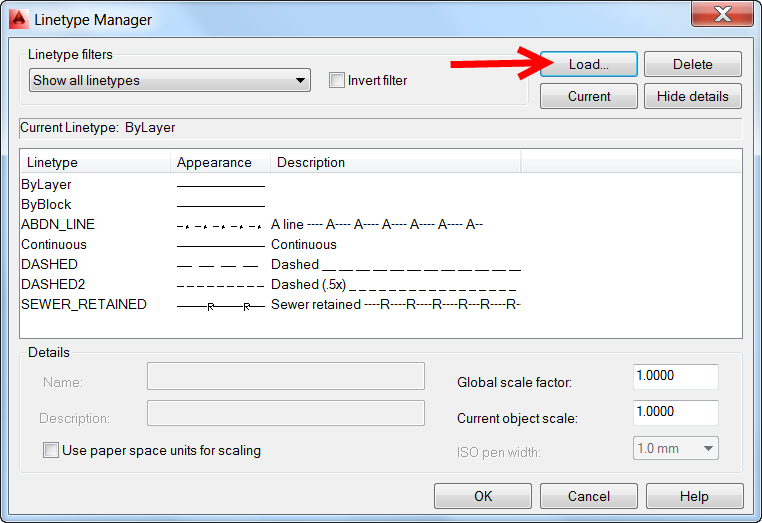 You assign linetypes to objects either by layer or by specifying the linetype explicitly, independent of layers. Autocad users can make linetype in autocad drawing without lisp just type in command line MKLTYPE and do the following step as showing in the below video. 1- Make straight two lines. 2-Put your own text between above two lines. 3-Type mkltype in command line. 7-Enter line line type description of line type. 8-Specify first and second point (start and end). 9-Select all two lines and text. 1- Click Home tab Properties panel Linetype drop-down list. 2- In the Linetype drop-down list, click Other. 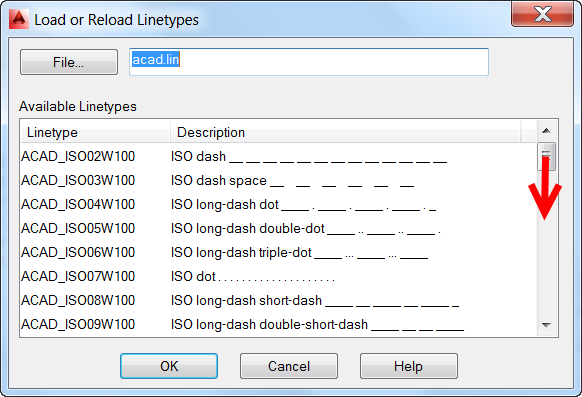 In the Load or Reload Linetypes dialog box, choose the linetypes to load. In the Load or Reload Linetypes dialog box, click File to open an additional linetype definition (LIN) file, and choose the linetypes to load. 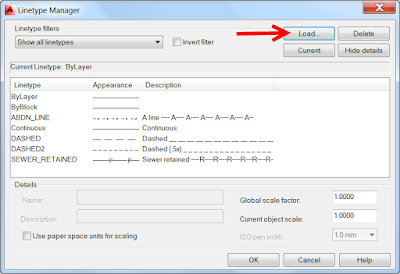 4- Click OK to close each dialog box.